In the entertainment industry, the staging & rigging of a stage or location is the most important foundation of any event. This responsibility comes at a high risk, and could potentially leave your staging & rigging operation vulnerable to legal ramifications in the event something goes awry. With our Staging & Rigging Insurance policies, your company can focus on growing your business, knowing it is protected from unplanned mishaps or legal miscues. At MFE, our General Liability Insurance protects you and/or your company from claims of bodily injury and property damage that may arise during the staging & rigging of an event. The General Liability Insurance policy covers third-party lawsuits that may occur during a claim. Anyone other than the insured’s employees and workers are considered a “third party”. You and your staging & rigging crew can feel at ease knowing that the General Liability Insurance policy at MFE provides protection from a wide variety of potential liability issues. General Liability Insurance is crucial to your staging & rigging needs, as it covers accidents involving those who are not employed by your business. If they make a claim against you, your Staging & Rigging Insurance policy will step in to pay for attorney fees, settlements, and any other costs relating to the lawsuit. It may even cover the injured party’s immediate medical expenses and the cost of repairing or replacing their damaged property. For example, An employee from another company is on the stage you are performing staging & rigging services and gets hit on the head by a falling lighting structure. If they sustain any bodily injuries, it is within their right to sue you for medical expenses and damages. Depending on how serious the injuries are, their medical expenses and your legal fees can become incredibly expensive. Say they suffer a concussion that presents complications with how they live or work, you could be looking at an extremely expensive problem. If that happens, you can make a claim on your General Liability policy to cover litigation costs. The name is developed as an outgrowth of Ocean Marine Insurance, which covers property being transported over water. Inland Marine Insurance covers movable property that is required for your staging & rigging services, such as video cameras, speakers, production set equipment, etc. Inland Marine Insurance policies at MFE Insurance cover your movable staging & rigging property whether it is being transported from event to event, or in action during an event. Inland Marine coverage protects your staging & rigging equipment and goods that travel from event to event. The details of what is included are specified in the policy that your broker tailors for you, but typically the following are covered: cameras, lenses, computers, lighting equipment, props, wardrobe, other electronics, rented equipment, accounts receivable, and trailers to transport your gear. Staging & rigging equipment is essential in the entertainment industry and can cost your company a fortune. Adding an Inland Marine Insurance policy with MFE’s Staging & Rigging Insurance allows you to rest easy when transporting equipment between events. For example: Your employees are setting up lighting fixtures on stage, and during installation, the lighting fixture comes loose and smashes into the stage, rendering it inoperable. As long as you have Inland Marine Insurance through MFE, your lighting fixture is covered up to the limits on your policy, which is typically the full replacement value. The MFE Commercial Automobile Insurance policy covers owned, hired, borrowed and or non-owned vehicles while used in your business or staging & rigging setup. The two main components of auto coverage are, Liability and Physical Damage. 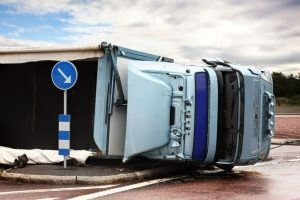 Auto Liability is included in our Staging & Rigging Insurance products to cover you against bodily injury and property damage done to others while the Physical Damage (comprehensive & collision) covers your business against theft and damage to the vehicle. If any staging & rigging crew member or employee working for your company uses their own vehicle or a rented vehicle, you and your company are responsible for the vehicle and the people in the vehicle. You are also responsible for any vehicles that are involved in an accident. For example: One of your staging & rigging crew members or employees decide to take their personal vehicle to pick up lunch. During the car ride, your employee or staging & rigging crew member gets into an accident and causes damage to another person’s body and car. The MFE Commercial Automobile Insurance policy covers the damages caused to both parties. Workers Compensation Insurance is a program mandated by the state, which consists of payments (required by law) to be made to a staging & rigging crew member or employee who is injured or disabled in connection to their work. 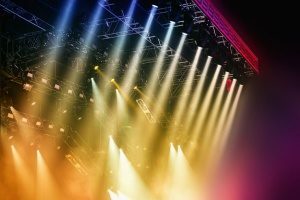 Our Staging & Rigging Insurance consultants will educate you on the entertainment industries specific rules and regulations to ensure that your business is properly covered. MFE Insurance makes sure that your business and staging & rigging operation obtains the recommended level of coverage needed, at competitive rates. Coverage can vary on a state by state basis, as each state has its own Workers Compensation Insurance program. 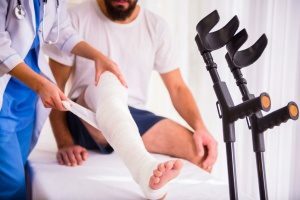 Regardless of the varying state coverage details, Workers Compensation Insurance will cover the medical costs from the injury or illness, replacement income, costs to retrain, compensation for any permanent injuries, and benefits to survivors of workers who are killed during a staging & rigging operation. For example: One of your staging & rigging crew members is setting up an amplifier on stage and trips over a group of electrical cords and breaks their wrist. The Workers Compensation Insurance policy acquired from MFE’s Staging & Rigging Insurance will cover the medical expenses and the wages the staffed crew member would have received during staging & rigging events. With MFE Excess Liability Insurance (Umbrella Liability Insurance), you are providing your company and staging & rigging operation with protection for claims that exceed the limits of your primary liability policy. This policy is ideal for growing companies that run the risk of a potential large loss, with coverage limits starting at $1,000,000. However, your company’s Excess Liability Insurance policy will not respond until your primary liability policy limits have been met. For example: During the staging & rigging of an event, a massive lighting fixture comes loose and falls on a group of performing artists on stage, resulting in multiple injuries that exceed $3 million in medical payments. Your General Liability Insurance policy will cover the first $2 million, the Excess Liability Insurance policy will cover the remaining $1 million. Errors & Omissions Insurance, also referred to Professional Liability or E&O, protects your business and staging & rigging operation against an error or omission while rendering a professional staging & rigging service. In most cases, E&O Insurance policies are intended to cover financial losses, rather than bodily injury or property damage. E&O Insurance at MFE Insurance protects your business and staging & rigging operation from situations where errors are made while conducting staging & rigging services that could potentially cause liability issues. How Does E&O Insurance Apply To My Business and Production? The Errors & Omissions Insurance policies through MFE’s Staging & Rigging Insurance protect you and your company from lawsuits of alleged libel, slander, defamation, of character or invasion of privacy. E&O Insurance also protects you and your business from lawsuits that occur due to unauthorized use of titles, formats, ideas, characters, plots, plagiarism, unfair competition or privacy, and breach of contract. Travel Accident Insurance pays the benefit limit of travel-related accidents such as accidental death and dismemberment (AD&D). Travel Accident Insurance is essential in the entertainment industry to properly protect the staging & rigging crew while traveling from event to event. Travel Accident is paid above and beyond any workers compensation, life and or disability insurance that may be in force at the time of loss. In the event that you or one of your employees are seriously injured while traveling from or between events, Travel Accident Insurance will provide benefits to you or an employee while out of work. Travel Accident Insurance also provides emergency medical evacuation to the injured parties who require medical attention. Also known as Cyber Risk or Data Breach Insurance, Cyber Liability Insurance protects your company from data theft or information mismanagement. Anyone in the entertainment industry is well aware that losing memory cards, hard drives, etc., which can lead to very costly lawsuits. In addition to coverage for tangible items, this form of Staging & Rigging Insurance also covers your company’s liability in the event there is a data breach that involves social security numbers, credit card information, employee health records, etc. 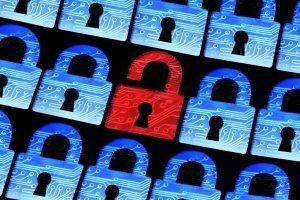 How Does Cyber Liability Insurance Apply To My Business? When data is stolen or lost it’s nearly impossible to repair or replace this information, and the lost information could affect multiple clients or customers and create a whirlwind of legal issues. The Cyber Liability Insurance at MFE will cover issues like Legal Fees for defense in court, Judgments or Settlements, Customer Notifications (letters, etc. ), Credit Monitoring Services, and Public Relation damage control services.